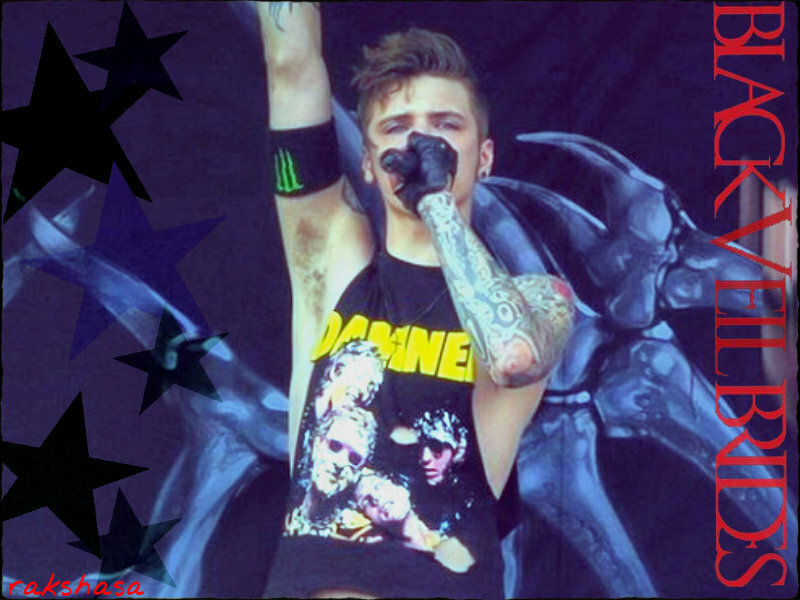 ★ Andy Biersack ☆. . HD Wallpaper and background images in the Rakshasa's World of Rock N' Roll club tagged: black veil brides andy biersack. This Rakshasa's World of Rock N' Roll wallpaper contains concert and gitarist. There might also be trommelaar and drummer.